Would you like a side of sprouts with that? If you’ve been out to eat at a relatively healthy restaurant lately, you’ve likely seen sprouts added to your sandwich, your burger or even draped across your salad. These enzyme-rich, amino acid loaded plants are bursting with minerals and trace minerals and are packed with chlorophyll. They are super easy to grow at home, and you can do so easily right on your kitchen countertop. 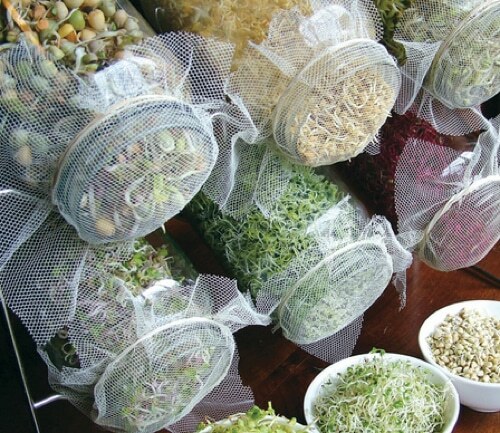 They are an inexpensive way to grow fresh food year-round. Many sprouts will grow and be ready to eat in 3-7 days, and you can use them in juicing, on salads and soups, on sandwiches, as snacks, and much more.